One of the innovations pioneered by Perfect Patients is our new patient survey. As you add each new patient as a subscriber to your website, we’ll automatically send a welcome email with a link to an online survey. Find out your newest patients’ perceptions about their first visit experience. Using the latest survey technology, patients simply click on a smiley face that best sums up their experience. This is important feedback that can reveal training opportunities and other ways to make each new patient’s first (and most lasting) impression positive and worthy of a referral. You’ll be delighted to know that when patients give you all smiles and leave a short “review,” we ask them for permission to publish their comments on your website and provide an easy way for them to post to popular review sites like Google, Facebook, or Yelp. It’s social proof that you’re the chiropractor to see! As your practice receives more and more positive reviews, we add them to the Patient Reviews area of your Perfect Patients site. Positive feedback can be inspiring for you and reassuring to potential patients who see them on your website. 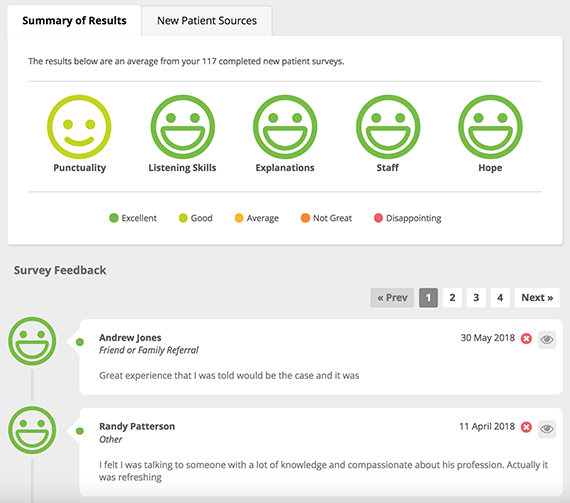 The New Patient Survey is just one of dozens of features designed to help you get and keep more new patients. Ready to enhance your online presence? 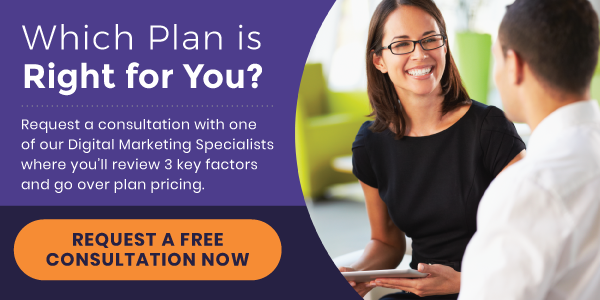 Review our three service plans and put Perfect Patients to work for you and your practice today.